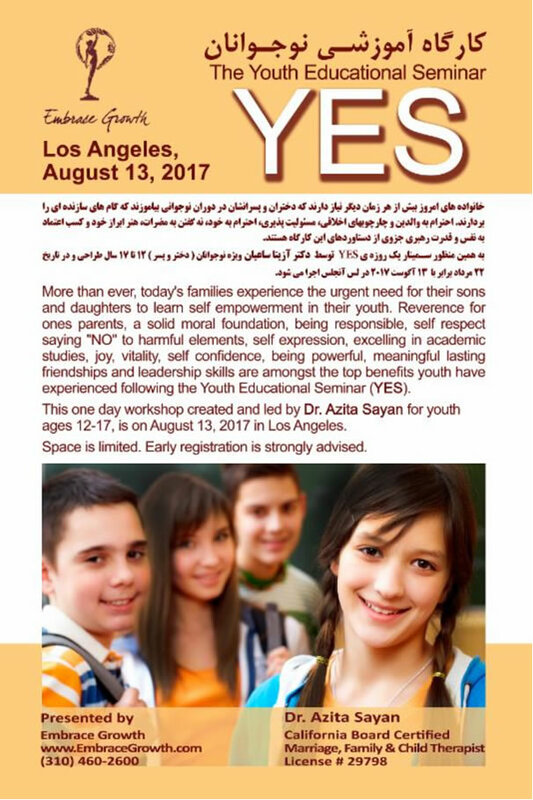 Youth Educational Seminar, by Dr. Azita Sayan. one day workshop for youth ages 12 -17.
reservation & information: (310) 460-2600 . One-day event establishing the principles for being a productive member of society from a young age. In this one-day workshop teens overcome limitations like shyness and low self-esteem and gain the self-confidence, poise and composure to create and uphold personal boundaries.